Dr. Erycka Florie is a Hand and Upper Extremity surgeon specializing in both adult and pediatric issues ranging from the shoulder to the fingertips. She prides herself on an approachable bedside manner and dedication to improving the lives of her patients. Did a great job. Very kind and courteous. Well done! Dr. Florie is very knowledgeable, friendly, and professional. Doctor Florie was timely . She seemed competent but I only gave her a 4 because the solution to my problem was not complicated. And not worthy of 5 stars. Dr. Erycka Florie is a Hand and Upper Extremity surgeon specializing in both adult and pediatric issues ranging from the shoulder to the fingertips. She prides herself on an approachable bedside manner and dedication to improving the lives of her patients. Dr. Erycka strives to ensure her patients understand their conditions and the treatments available to them as well as tailoring the best treatment to each individual patient. Care is taken to exhaust all non-operative treatment before proceeding with surgical intervention. Born and raised in Chelmsford, Massachusetts, she attended Case Western Reserve University in Cleveland, OH for her undergraduate education followed by medical school at the University of New England in Maine. 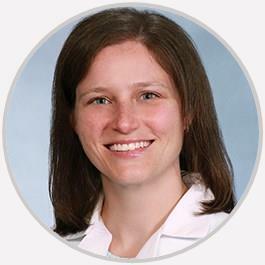 Dr. Florie completed her residency in Orthopedic Surgery at the Medical College of Georgia before fulfilling a Hand and Upper Extremity fellowship at the University of Chicago Medicine and Biological Sciences. Her personal life is centered around her husband and children. Her hobbies include both water and snow sports.